Amanita Gallery – Explore Manzanita! Hi! My name is Debbie Harmon. I am an artist who lives in beautiful Manzanita on the Oregon coast. I have been living, painting, and gardening here for a long time. 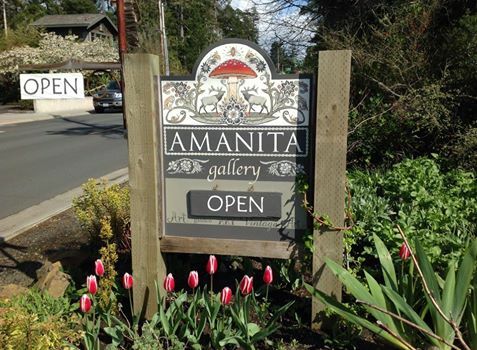 In March of 2015 I opened a gallery so that I could share the things that my friends and family do with all of you.Amanita Gallery showcases fine art, as well as repurposed furniture and vintage items celebrating creativity and nature.